i’ve been wrapped up in Jeep repair lately as there’s some sort of issue prevent the beloved XJ from firing up. i have, however, in the meantime had some time to work through my initial modulation tests on this version of the PT2399 circuit and nail down a lot of the bugs. 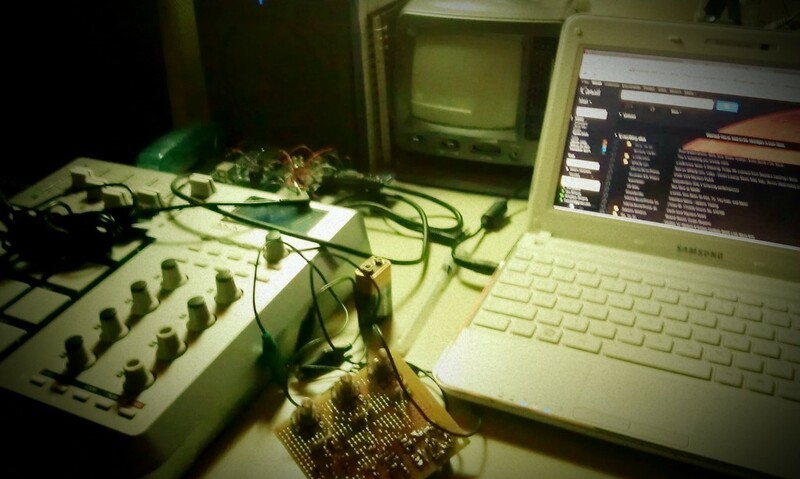 the initial problems were stabilizing the LFO and purging the noise from the chip. as you well know from the datasheet, the PT2399 has very little storage space. it also makes a lot of racket on the output of pin 14. i was able to use 2nF caps on the input to really filter some of that out and get the thing pretty quiet. 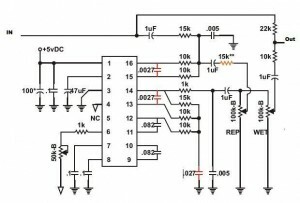 the LFO problems were locked down thanks to the EchoBase schematic. the final draft will include an SPDT which will switch between the square and triangle wave. the audio test features only the triangle side of things. as for the audio, the first part is long delay with light modulation and moderate rate. the second is short delay with slow modulation, and the last is kind of a slap-back delay with faster modulation. i’m really looking forward to getting this one off the breadboard and into a usable stompbox. thanks to all of those people at DIY Stomp boxes who post information. it’s been a big help. two days worth of soldering and layout. it’s a combination of the Magnus Modulus and Rebote delay schematics. 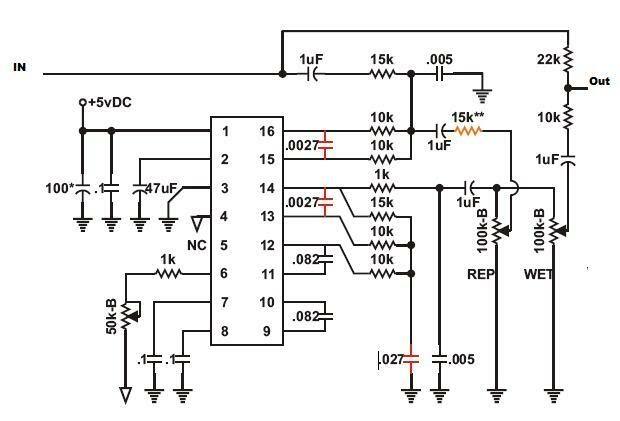 i couldn’t get the mixing circuit to really work from the Rebote schematic (an older version) without some serious distortion, so i just kind of reworked it on my own. here’s the schematic. i wouldn’t commit to it 100%, but it’s a start. tomorrow i’ll see if it level from bypass to effect works. well, not really. feeble attempt and making some sort of microprocessor controlled tempo clock, but a good exercise in the ATMEGA328s finicky behavior. don’t ask me what that squeal is. i think it comes from the way the input was wired up (mistaking the second sleeve as a synonym for ground) coupled with the PWM stream not having a negative offset, but who knows. eventually, i’ll move off the tone() crutch and start working with more interesting DSP. it’ll be nice to start using some of the memory on the chip. 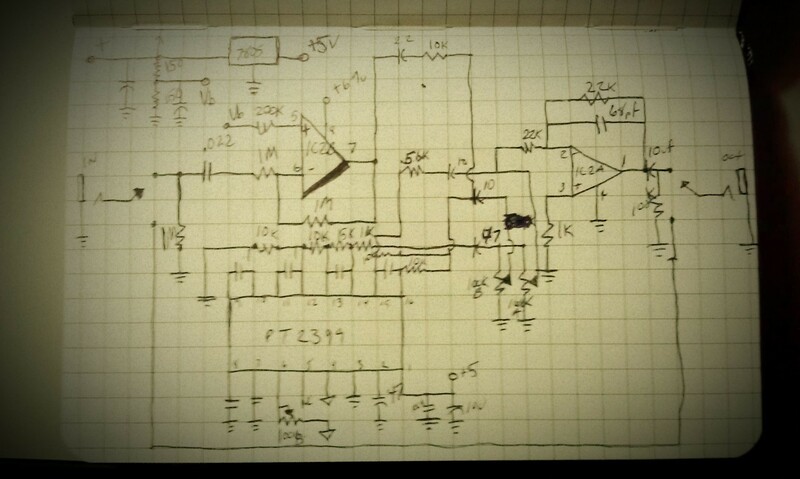 i will also post the schematic for the delay pedal once i’ve got the values i want in it. i won’t have any time nor tools to tear into it until next week though. Essentially the oBITerator program with aerials instead of actual input signal. Of course, we’ve got to mix in the newly constructed PT2399 pedal. 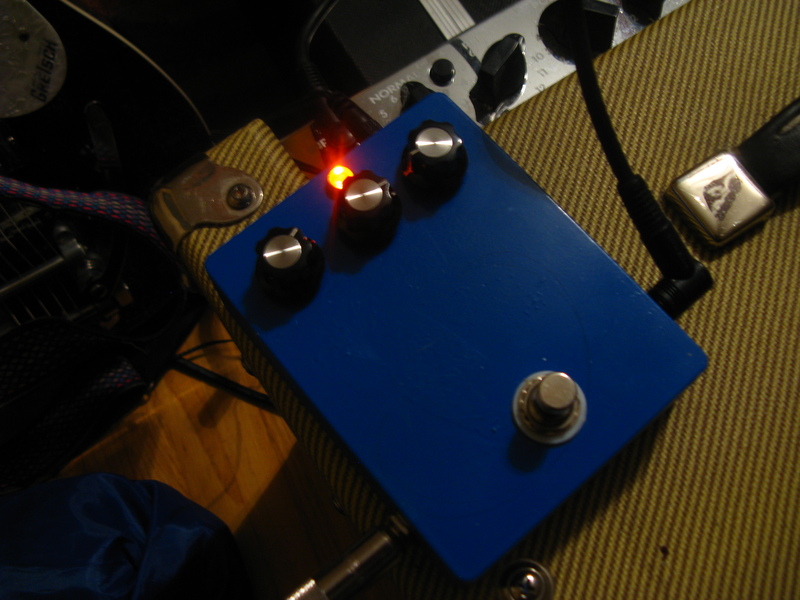 A little work needs to happen in the common-collector preamp in the delay pedal. I’ll be recalculating those values soon as well as switching out a couple of the ceramic caps. They sounded good on the bread board initially, but I’d like to have a little less cutoff. Of course, no experiment would be complete without an LM386-based cigar box amplifier powering a Weber 12″ signature alnico. 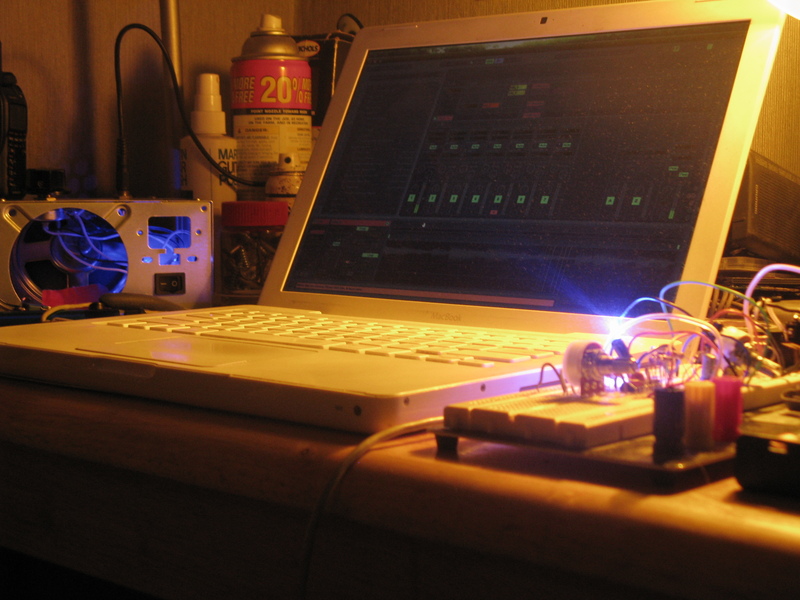 Square-wave Oscillator with PT2399… from abram on Vimeo. Very short video of the waveform captured using Xoscpe of the PT2399 applied to the LM386 square-wave oscillator. Sorry for the bad focusing. I was in a rush. I just needed a visual capture for later analysis. 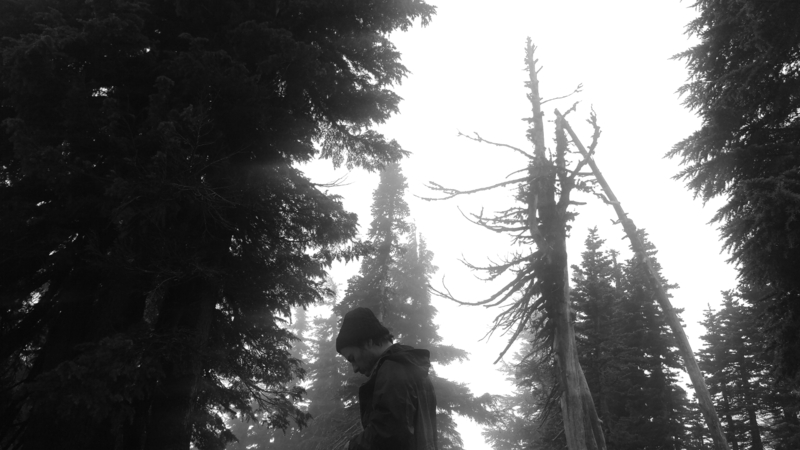 …and here’s a clip of the aforementioned wave from from around the same time. 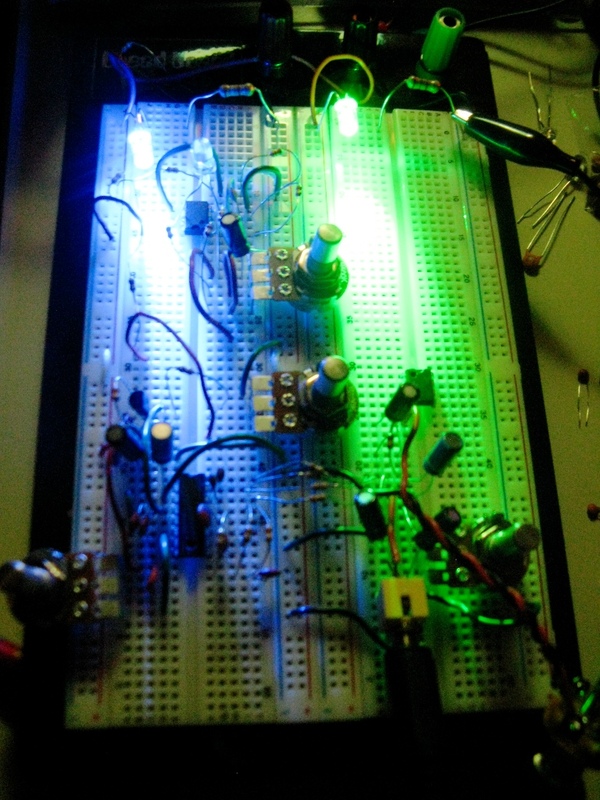 i’ve been experimenting with this PT2399 chip and using various schematics to create a digital delay circuit. the delay time seems to be directly attached to the sample rate since lengthening the delay time gives a nice decrease in pitch. i’m toying with the idea of dropping a time constant in around the controlling delay time circuit to see about achieving a “tape warble” sort of effect. we’ll see what works. here’s the schematic i’ve been working with though the values i’m using are hardly similar.